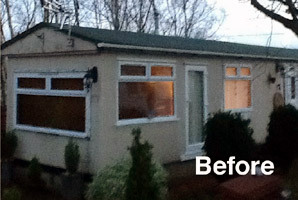 Specialists in park home repair, maintenance and refurbishment - we cover the whole of the UK. The older a park home becomes, the more important it is to maintain it to ensure it serves you well for many years. For example, many owners of older park homes share a common problem with cold floors and draughts penetrating through the floor boards. Other common issues include heat loss, roofing problems and even chassis corrosion. 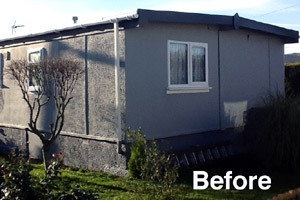 Calladine Limited offer professional and competitively-priced park home repair and maintenance services from jack repairs and underfloor insulation, cladding and replacement doors and windows through to roof coatings. Our new Thermaseal roof coatings which are exclusive to Calladine Limited can reduce heat loss by as much as 30% whilst preventing moss and lichen growth which can lead to roof decay. We also specialise in plumbing and electrical services for park homes and park home refurbishment including the installation of kitchens, bathrooms and bedrooms. 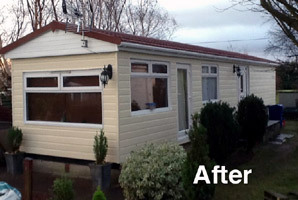 All our work is completed to the highest standards using high quality materials and comes with a 10 year guarantee. 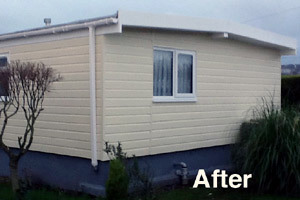 Call us today for a FREE no obligation quotation.